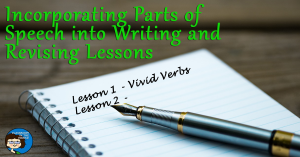 Writing to a prompt, writing without a prompt, quick writes, and full writings using all the steps of the writing process – as an English teacher, you’ll probably have your kids doing many of these activities repeatedly throughout the school year. 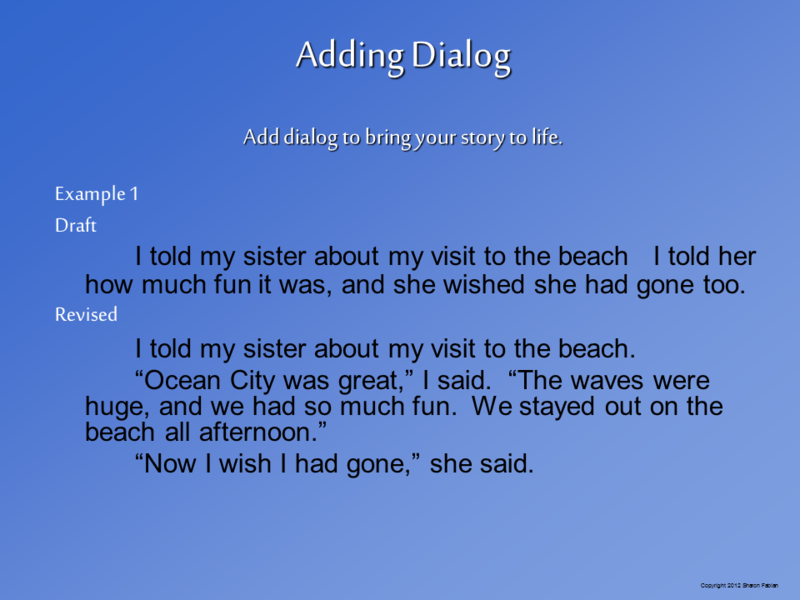 By middle school or the upper elementary grades, kids have learned the basic ideas before and can do seasonal writings, write in response to stories, or write about other topics right from the start of the school year. But just because they’ve learned the process before doesn’t mean that kids don’t need to review, practice, or improve their skills at every step of the writing process. 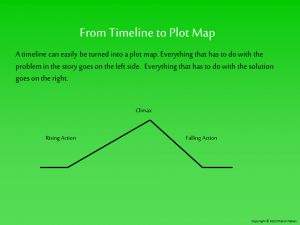 That’s why, year after year, English teachers at so many grade levels teach the writing process. Some teachers prefer to teach it all in one fell swoop. Others prefer teaching each step individually. Personally, I prefer teaching the whole process briefly at first and then spending time on each step, one at a time, throughout the year. 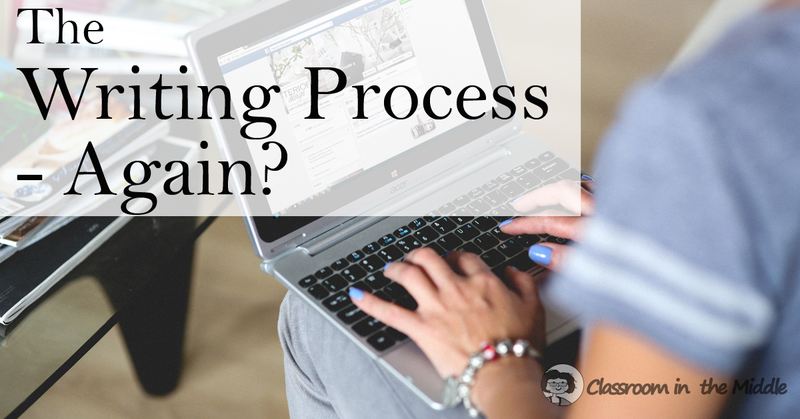 Once they’ve had a brief review, kids can be encouraged to use the process as they’ve already learned it, while learning more about each individual step more gradually. Prewriting can become a rote activity at the middle grade level. Kids have done it many times, and some of them do it quickly just to get it done. 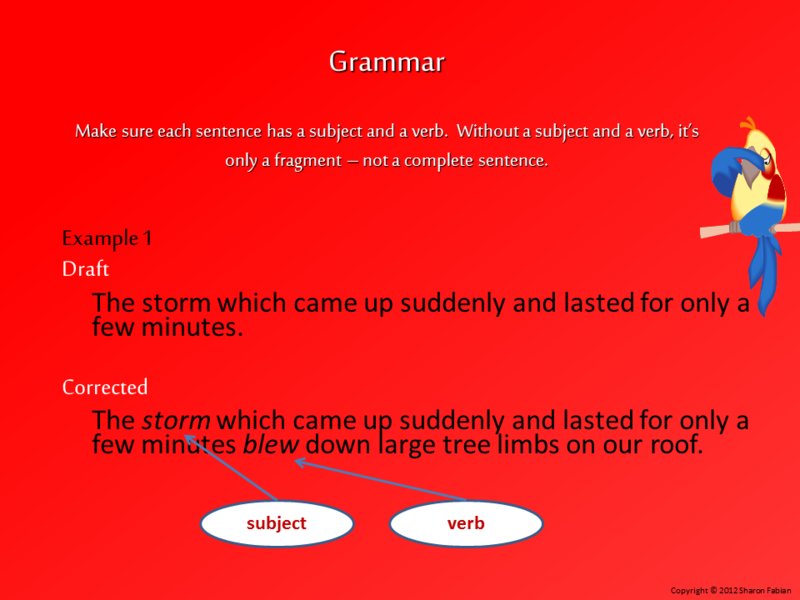 What they need to learn now (or relearn) is how to really make use of their prewriting to generate and organize ideas. Here are a couple of ideas. They’re from my Prewriting presentation. 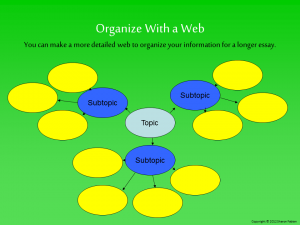 This one takes the simple web a step further by having the kids use it organize their information into sections for each paragraph of their essay. 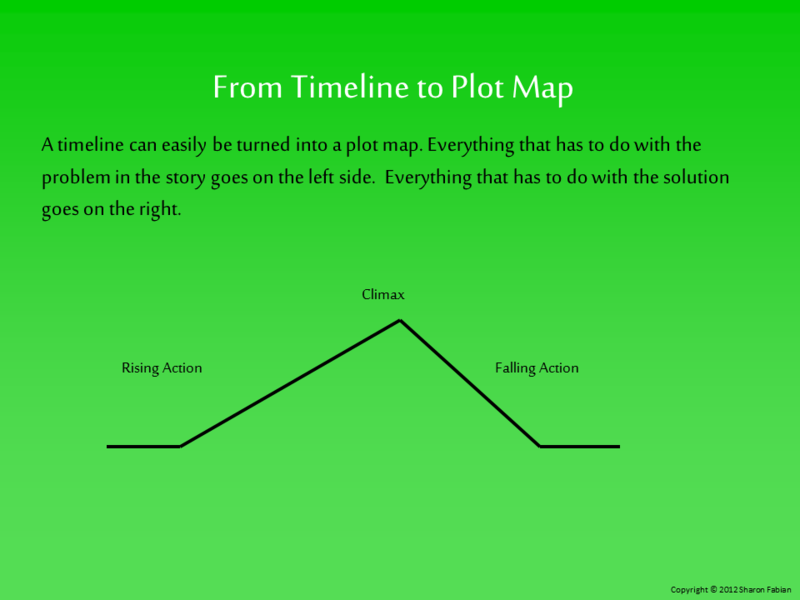 This one moves beyond the simple timeline, to have kids think about the story arc of a narrative that they are about to tell. When kids have completed a draft and are ready to revise, they’ve hit a stage where middle grade kids can really learn to apply new skills. 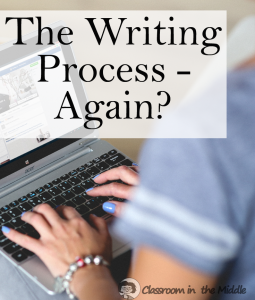 Many kids at this age don’t even realize that there are specific things to look for as they try to make revisions, or improvements, to their paper. I’ve made a number of practice activities that teach kids a number of these specific ways to revise. 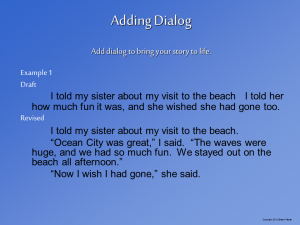 The ideas shown here are from my Revising presentation; one is about adding dialog and the other is about deleting unnecessary words. The following ideas are from my Revising Task Cards. 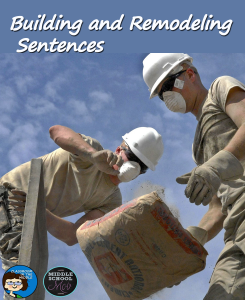 You can see some of the specific items that kids can revise for: replacing overused nouns with pronouns, changing the order of words or phrases, changing from passive to active voice, adding dialog, and combining sentences. 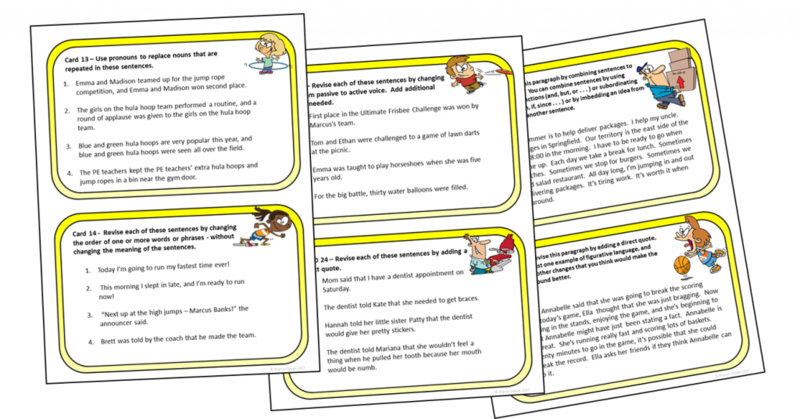 With task cards, different kids can be working on different skills, depending on their current abilities, or kids can work together in groups to share their knowledge. 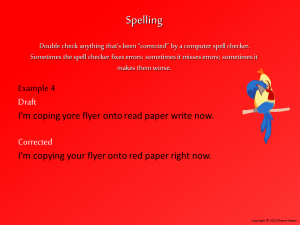 Middle grade kids know that they’re supposed to proofread, or edit, their paper to make corrections, but often they have trouble finding the errors that need correction. Writing habits can be ingrained by this age making it difficult for students to find their own mistakes. Here again, I think specifics is the key. 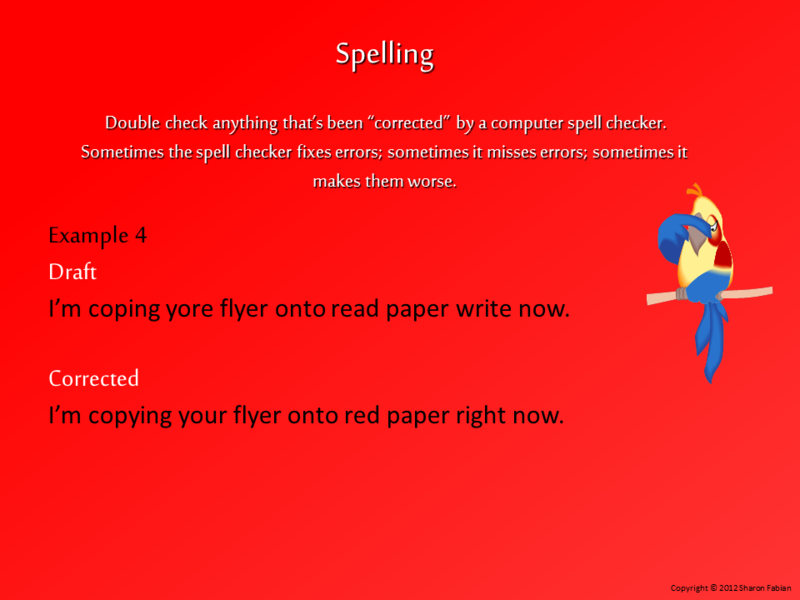 Looking for specific types of errors, and practicing with those types of errors ahead of time, gives the kids a task they can really tackle. 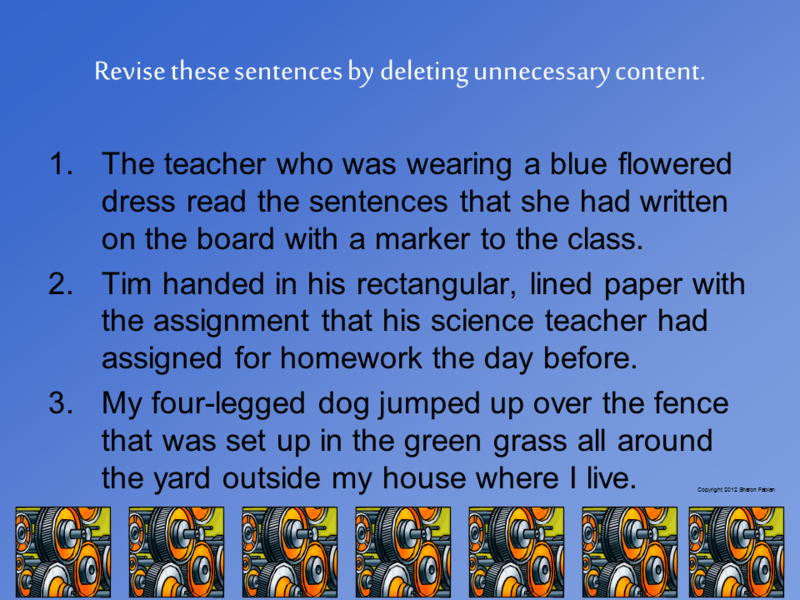 These examples are from my Proofreading presentation. One is about checking for complete sentences, and the other is about spelling. 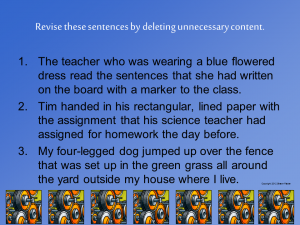 These examples, from my Proofreading Task Cards, are about commas and other punctuation. Presentations work great for beginning each new topic by reviewing the basics and incorporation a little whole-class practice. 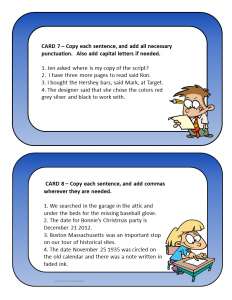 Task cards and other follow-up activities are great for individual or small group work; task cards make it especially easy to individualize according to each kid’s individual skills. 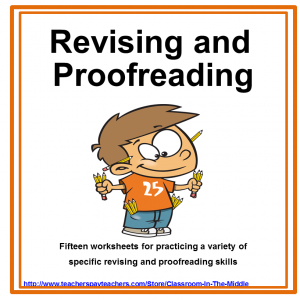 As kids become familiar with specific ways to prewrite, revise, and proofread, they gradually build up their own skills and can start to use the ideas in writing and improving their own essays.